Jojoba oil is a natural miracle-worker. It is very similar to the oil our skin produces naturally, so it spreads easily and absorbs deeply to add lustre and life to dry skin. Jojoba oil is actually a liquid wax. It is extremely stable and can be tolerated by even the most sensitive skin. Plus it is virtually odorless, making it an ideal carrier for scents and perfumes and a huge favorite of cosmetic manufacturers. But it is quite expensive, so make sure your product has more than a token amount of jojoba oil in it. 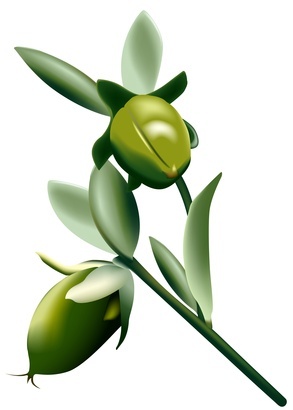 Jojoba oil came into its own when whaling was banned and sperm oil disappeared from the market. It has all the beauty benefits of sperm oil, but can be grown sustainably in arid environments. So when we use jojoba oil, we get the added bonus of helping some of the least developed regions of the worlds to prosper.